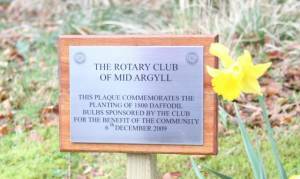 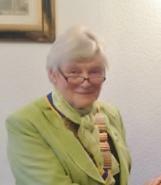 First established in 2013 by the Rotary Club of Mid Argyll, The Young Employee of the Year is an award for employees between the ages of 16 and 25 working in the Mid Argyll area. 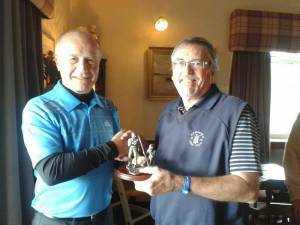 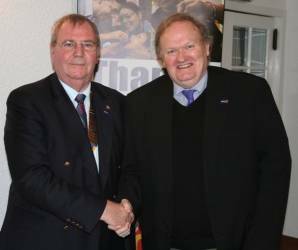 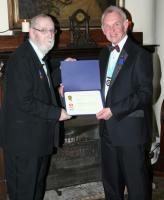 John Peace inducted as new member. 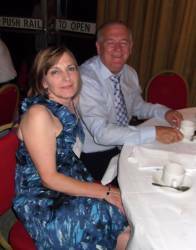 The Club's annual coffee morning raising funds for Macmillan Cancer Support on Saturday 27th September. 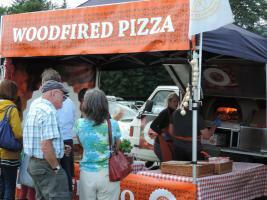 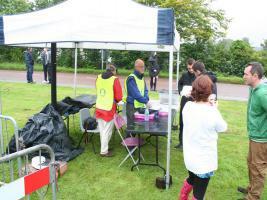 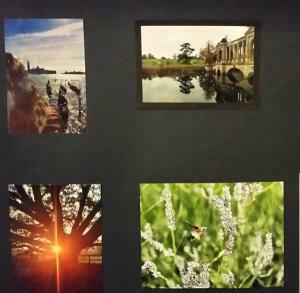 The club had a big presence at the 2014 Show. 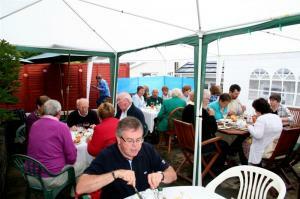 The annual Club BBQ was held as usual at Len & Hilary Simpson's garden. 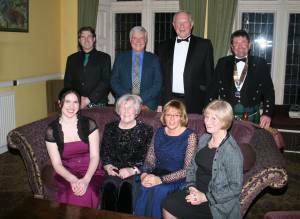 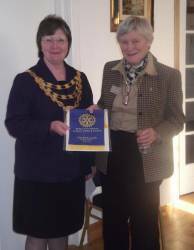 The club annual Charter Dinner was held at Stonefield Castle Hotel, celebrating 45 years of Rotary in Lochgilphead & Mid Argyll. 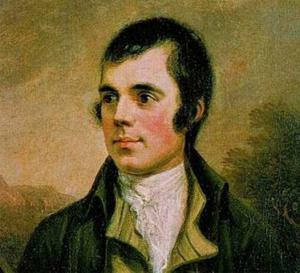 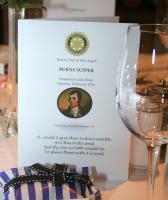 Annual Burns Supper 2013 Report and photos. 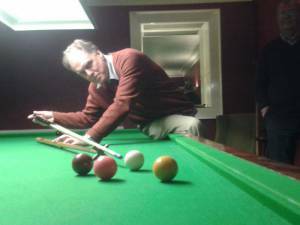 Not quite the Open Championship but... a wee bit of fun on the putting green on Lochgilphead Front Green after the meeting. 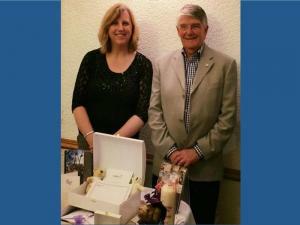 A chance to enjoy an evening of fun and fellowship with our spouses and partners. 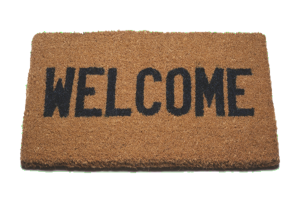 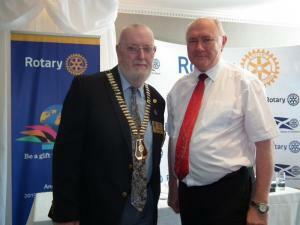 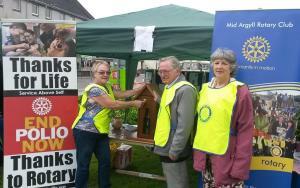 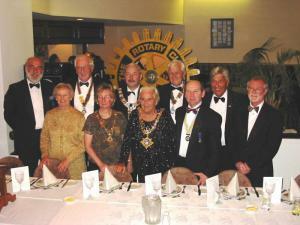 If you are interested in joining Rotary, please get in touch. 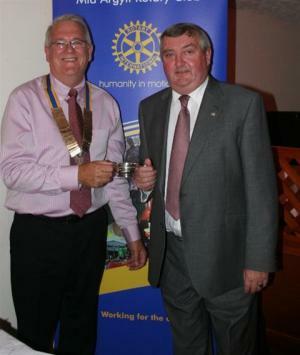 Four members of the Rotary Club of Ballymoney, along with two wives, visited our club on 24th May 2012, maintaining the valued links between the two clubs. 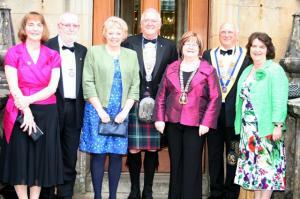 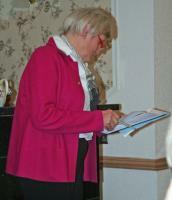 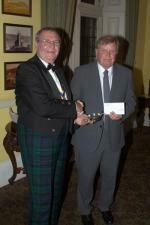 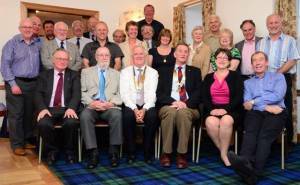 The 44th Annual Charter Dinner was held at Stonefield Castle Hotel, Tarbert on 19th May 2012. 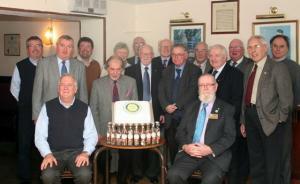 Members celebrated Rotary Day 2012 with a wee lunchtime party, complete with birthday cake. 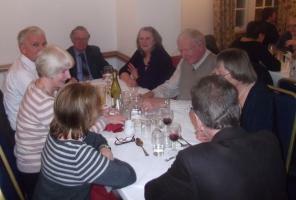 They also returned their tomato sauce bottles, filled to the brim with small change - part of our fundraising efforts to "End Polio Now"
Santa has been!!! 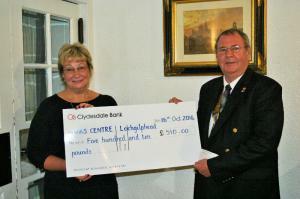 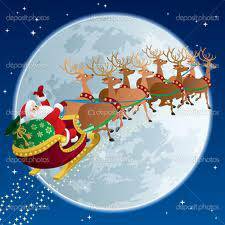 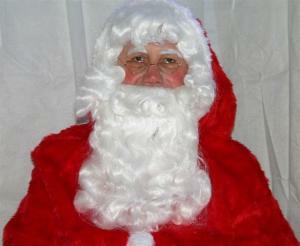 Our annual Christmas Fayre, held in Lochgilphead Community Centre, on Saturday 26th November raised more than £2000.